The new Velar trim borrows some of the best bits and pieces of other memorable Land Rover vehicles. Top Line: The Velar finally gets the 5.0-liter supercharged V-8 from its other range-topping siblings. What's New: The Velar SVAutobiography Dynamic Edition is the most powerful Velar model yet produced, with 170 more horses than the Velar P380. 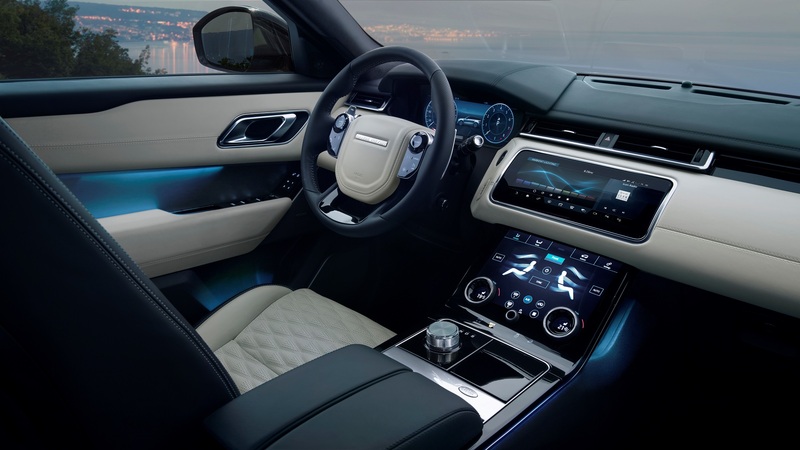 The Velar SVAutobiography Dynamic Edition utilizes the 5.0-liter supercharged V-8 that pumps out 550 horsepower and 502 pound-feet of torque. 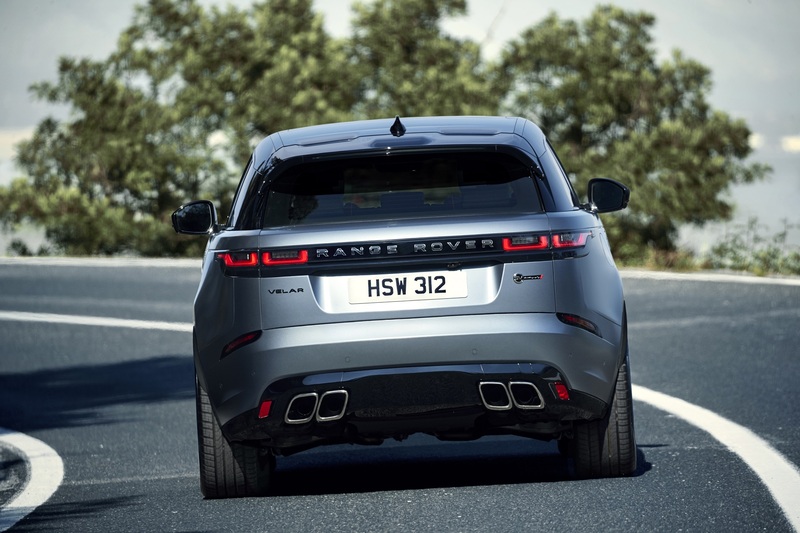 This is the same supercharged V-8 that is found in several other range-topping Land Rover and Jaguar vehicles, and the automaker claims the new Velar will sprint from zero to 60 in 4.3 seconds and continue to a top speed of 170 miles per hour—an improvement of 1.4 seconds over the regular Velar. To match the new power output the brakes and suspension components have been upgraded with 15.5-inch front and 15.6-inch rear two-piece rotors with four-piston calipers up front. The air suspension works with constantly variable dampers to reduce body roll, improve handling characteristics, and deliver a more focused driving experience. Land Rover claims the standard forged aluminum 21-inch wheels weigh the same as the 20-inch wheels on the standard Velar, but there are optional 22-inch rims if the 21-inch rims are just too basic for some. The exterior of the Velar SVAutobiography Dynamic Edition sees some adjustments as well. The new front bumper features larger air intakes to help the engine breathe in more air and cool the new brakes. The rear bumper has been revised to integrate quad exhaust tips. 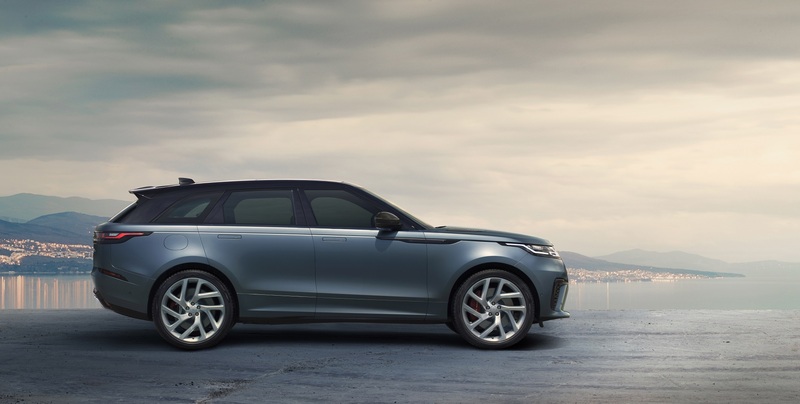 The new variant is the only Velar to receive the Satin Byron Blue exclusive paint color, with the other available colors being Firenze Red, Santorini Black, Eiger Grey, Fuji White, and Indus Silver. Inside the luxury has been stepped up a notch with double stitched, perforated, and quilted Windsor leather exclusive to the SVAutobiography Dynamic Edition. There are four color combinations available, Ebony, Cirrus, Vintage Tan and Pimento. For the front seat driver and passenger, 20-way adjustable heated and cooled performance seats with memory and massage functions are standard. The steering wheel is a unique sports design which has been special contoured and features aluminum gear shift paddles. A carbon fiber package is optional to make the interior feel even sportier. 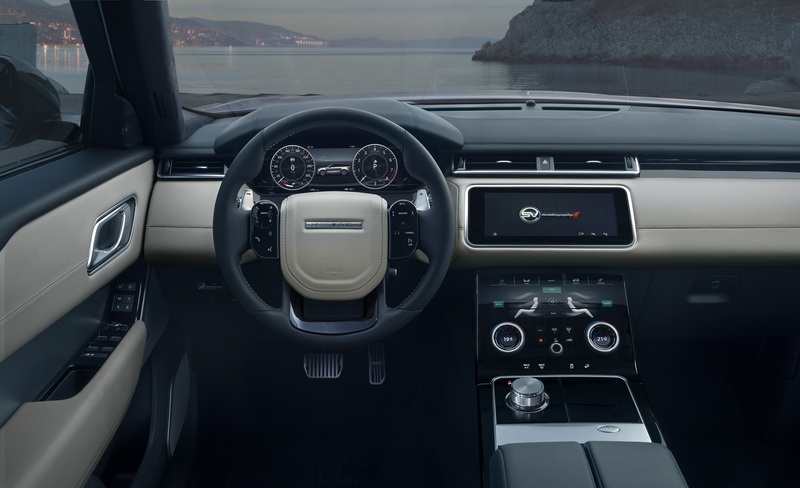 Land Rover has developed new calibrations for the AWD system, active rear locking differential, the eight-speed transmission, steering, and air suspension which are unique to the Velar SVAutobiography Dynamic Edition. The AWD system features a reinforced transfer box to withstand the extra power provided by the supercharged V-8 under the hood. The AWD setup can direct up to 100 of the power to the front or rear depending on conditions to improve traction. The sound of the 5.0 liter supercharged V-8 is routed through a variable exhaust system with valves to control the sound depending on how the vehicle is being driven. What You Need to Know: The Velar SVAutobiography Dynamic Edition brings the power and luxury from Land Rovers top SUVs to a smaller and less expensive package. Pricing and release date has yet to be confirmed. Your dreams of an ego-rific Range Rover have officially been shattered.